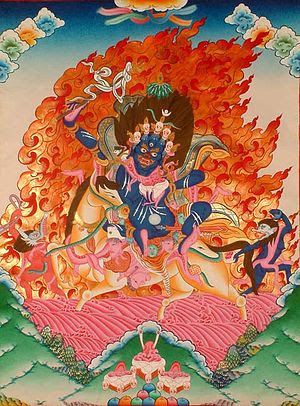 Palden Lhamo ('Glorious Goddess') is the wrathful deity considered to be the principal protectress of Tibet. 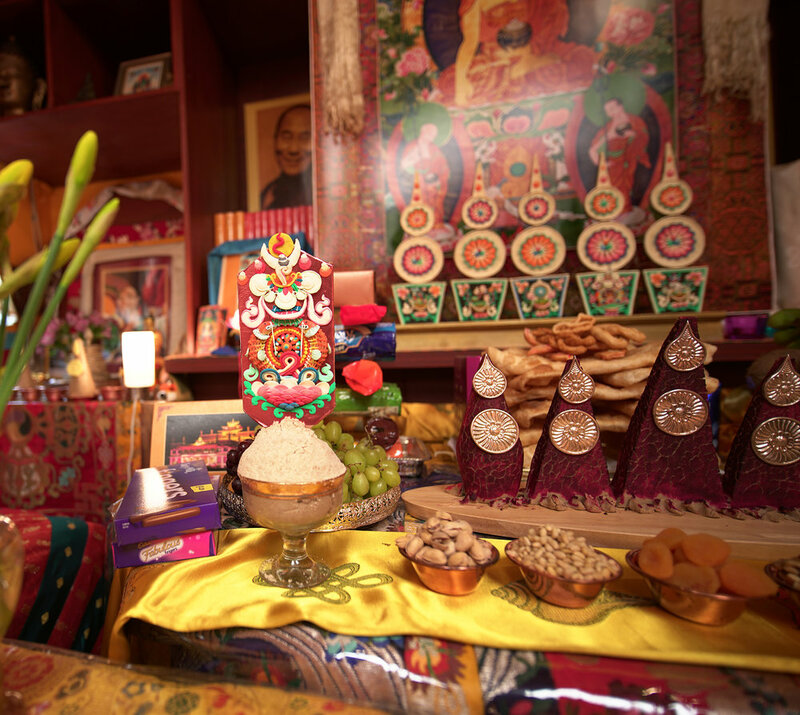 An offering to Palden Lhamo on this day helps to remove obstacles for the following year. We were also fortunate enough to be joined by Venerable Yangten Rinpoche , who also chanted with Rinpoche. It was a fantastic event and we are so sorry for those people who could not attend this time. People were queuing at the end to say 'thank you' and how wonderful the whole event was to Lelung Rinpoche. 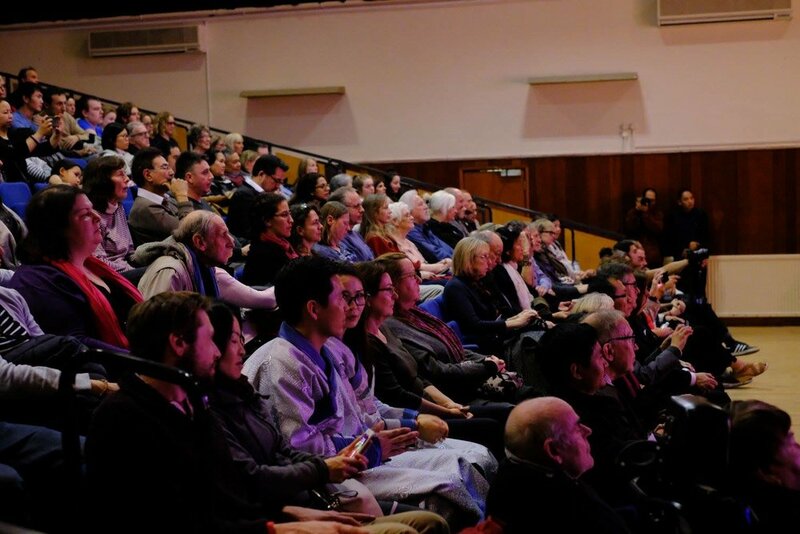 The Lelung Dharma Trust covered the hire cost of the venue and other expenses, approximately £1,300. The sale of tickets, food and drinks raised £3,100 and this whole amount will go direct to the Gyuto Monastery Medical Clinic in India. The new Medical Clinic in Dharamsala where all the profits of the event will be going. Rinpoche will be joining the Geshe Tonggo ceremony of His Eminence Driwulhey Rinpoche who is a reincarnation of the great master Drukpa Kunley, on the occassion of Lhabab Duchen. Lhabab Düchen is the Anniversary of Buddha Shakyamuni's descent from Trayastrima heaven, aka the God Realm of 33, after spending three months teaching his mother, Queen Mayadevi, and the beings in the realm of the gods. Have a look at their profiles and as each of them has a specific project, you may wish to choose the project that has most significance for you. I understand the training is going well and they are all excited about the run. Please support them if you can. No donation too small. On Saturday 4th March, they are holding an event at the South Bank Centre with informal discussions throughout the day. Chaired panels consisting of religious leaders, authors, artists, philosophers etc will be talking about life and death from their differing viewpoints. 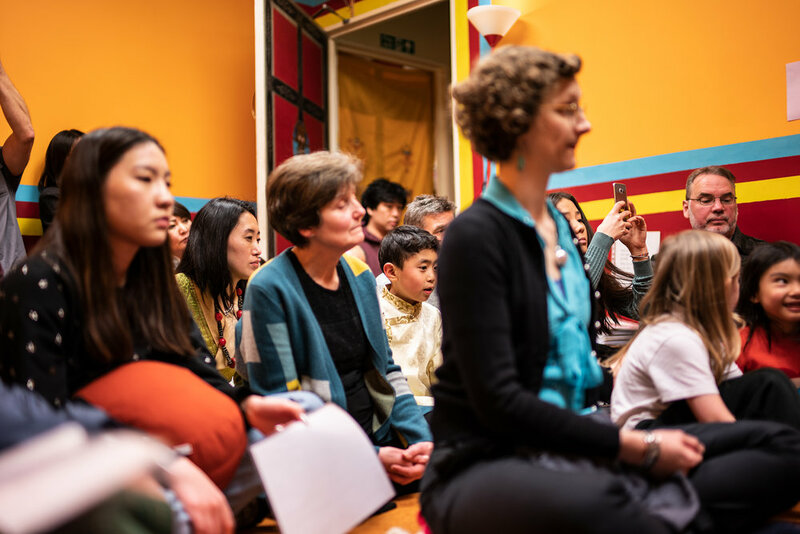 Lelung Rinpoche will be taking part in a discussion group on the subject of What Happens Next? from 11.30 to 12.30 with three or four other panelists. Then between 1pm and 2pm, he will be on the panel for How To Live and then later in the day at 4pm, on How do we Live with Death? with Rev. Richard Coles and Dorothy Moore Brookes who is the Chaplain of Great Ormonde Street Hospital. It is apparently intended to be very informal and light hearted, despite the subject matter! and there will be opportunities for the audience to ask questions at the end of each session. I think it will be very interesting. It is advisable to book for this so please look on the website www.southbankcentre.co.uk. The Saturday pass which allows admittance to all the discussions and talks is £15. Maybe we could all get together for this. Please let me know by Monday 20th February if you are interested in going along. 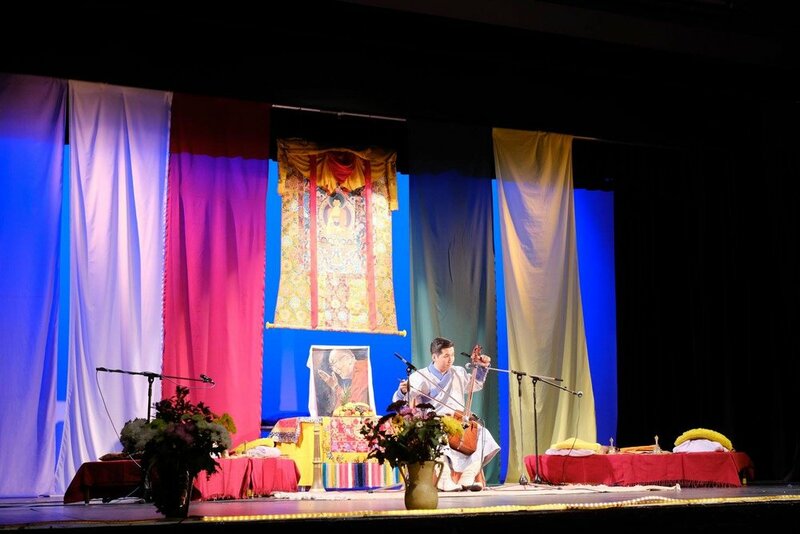 Lelung Rinpoche reports on different activities and projects connected with the Lelung Dharma Trust. There have been exciting developments in a number of areas. Others still need support from sponsors. Currently, Rinpoche is preparting to travel to India in mid-November to coordinate the next round of teachings for the Geden Phacho Bhucho Project. Another set of teachings for the Geden Phacho Bhucho project has taken place in South India. The Venerable Gen Yonden gave 33 days of teaching in August at the Gomang Monastery very successfully, and although there was some concern about the Lama's eyes, we were able to overcome the problem with eyedrops and eyebaths. This finishes seven volumes of oral transmission; there are still many more to complete. Although for this set of teachings, we did not have specific sponsors, we were able to manage by using funds from the Trust (no. 3 account), and also some money from the Dharamsala office. Unfortunately, after three days in India, I became ill with flu and had to have a great deal of treatment, injections etc, and therefore was unable to attend the teachings, except for a few days. Nevertheless, the teachings went very well and I am now fully recovered. I was very happy to be able to spend some time with the Lelung monks at Drepung, three of whom are now in their final two years of monastic Dharma studies. This gives me a great deal of pleasure. I am very happy with their progress, but still need to find sufficient funds for their Geshe offerings in two years time. I also have inspiring news. After seven years of hard work at the Lelung Literature Preservation Centre in Dharamsala we now have a positive result. The first volume of the Fifth Lelung's work, his autobiography, has finally been published after many delays and difficulties. This includes an encouraging message from His Holiness the Dalai Lama, citing the importance of this volume. If you are interested in this book, please send me your full address then I will send you a copy. Please bear in mind that this volume is in Tibetan only. My friends Sue and Sarah Bloodworth from the United Kingdom have generously donated their time to assist with this book. I owe them a big thank you. On the subject of publishing the next 39 volumes, while in Dharamsala, I had a dinner meeting with some scholars, and I explained to them that I intended to publish two volumes per year. They looked at me with shock saying: "That will take twenty years and we will probably be dead before it is finished! There won't be enough time for us to study these precious teachings!" With palms together they urged me to try to finish the volumes in three years time, so that people can study them sooner. It is true that if I went along with my original intention, I could be working on these volumes for the rest of my life. I was greatly moved by their words. With a heavy heart I was thinking that, although they are not Lelung reincarnations, nor practitioners of the Lelung lineage, they still have great appreciation for his work. So I would like to take their advice and try to publish much more quickly. This is not an easy task without financial support, therefore, I am wondering if my friends could introduce this project to companies, foundations or individuals who might be interested in helping. One other alternative would be if I could find 39 individuals who could sponsor a volume each, then this would solve a lifelong problem. Each volume costs about Rs.150,000 to publish (approximately £2000). I already have an offer for one volume so that brings it down to 38. If you are able to help in any way, please let me know as soon as possible. I have attached the introduction for this project and I hope this will give you a clearer idea of what is involved. On 17th November the Venerable Rizong Rinpoche is going to give the continuation of last year's teaching in South India. For more information please visit the Geden Phacho Bhucho website. I am continuing to teach Dharma at the Lelung Dharma Centre in Ruislip. We are still hoping to find permanent premises for our centre but as yet have been unsuccessful. For information on our fundraising projects, please see the Projects section. A documentary film maker has asked to make a documentary about my life and work and this could be very useful to raise awareness generally. At the moment the trailer is called Seven Years in England. Thank you so much for your friendship and support, Lelung Tulku. Lelung Rinpoche is inviting the public to help him improve the new English translation of the Lelung lineage book. The book, written by Rinpoche in Tibetan, was first published in 2000. It details the lives and accomplishments of the masters of the Lelung or Jedrung tradition. These previous Lelung incarnations have played an important role in the history of Tibet, especially the development of Buddhism. The English translation has been underway for several years. Lelung Rinpoche is collaborating with an experienced translator friend to produce the English text. With the first draft now proofread, Rinpoche feels this is the moment to open up the process to the public. The team is primarily interested in finding typographical and grammtical errors, but other types of feedback are also welcome. If you are interested to help with this project, please download the PDF files of Chapter 2 and Chapter 6 (see links on right). Feedback should be emailed to info@lelung.org. The texts covered by the transmission include many deities' practices. For anyone practicing the three main Gelugpa deities, this is a truly unique opportunity to receive the oral transmissions from such an accomplished master. Kyabje Rizong Rinpoche was born in Ladakh in the early 1930s. He was recognized and enthroned as a child as the reincarnation of the founder of the illustrious Rizong Hermitage. 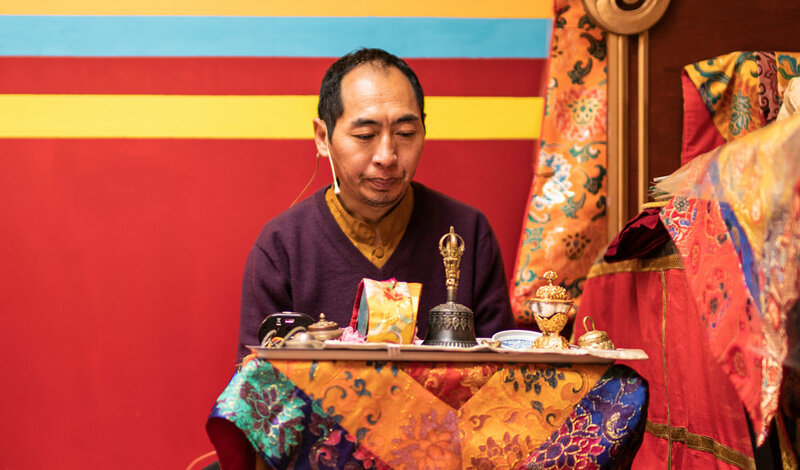 Rinpoche has conducted numerous retreats and is renowned for his Tantric powers. He is frequently called upon by H.H. the Dalai Lama to lead ceremonies for healing and other similar purposes. The event will take palce at Tashi Lhunpo Monastery in South India. This location has great significance because the authors of the texts are from Tashi Lhunpo. This event will inevitably bring great benefit to participants, the monastery, and the Buddhist tradition. For full details, including travel advice, see the Geden Phacho Bhucho website. 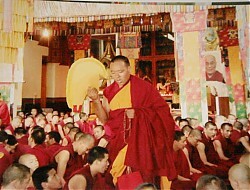 On 3rd September 2006, Sonam Tenzin accomplished his debate session (tsoklang) at Drepung Loseling Monasery. He was congratulated by the monks for his excellent presentation. At the tsoklang, two individual students engage in a forty minute debate on Dharma (Buddhist scriptures) for an audience of approximately three thousand monks. The event is only held when a monk reaches a high level of studies and being selected to present their knowledge is in this way is a great honour. As reported previously in March, Sonan Tenzin is a monk from Lelung Valley who has studied for the past several years at Drepung--one of the largest Buddhist Monasteries in India. Lelung Rinpoche is very happy with Sonam Tenzin's great performance at tsoklang and hopes he will return to Tibet to teach at Lelung monastery after he has completed his studies. Lelung Ripoche extends his thanks to all those who have helped to support the Lelung monks in their studies. Work on the Collected Works project (for full description see Projects > Collected Works) is progressing well. We started in January 2004 with four Tibetan scholars working on forty volumes by the Fifth Lelung Rinpoche. The scholars have gone through all the digitised volumes three times to compare them with the originals. First, one scholar reads the original text as another scholar reads the digitised text on the computer. They go through letter by letter to input or delete, making corrections to any letters or sentences that may be missing or duplicated. Second, they print out the volume and check both spelling and grammar by marking mistakes with a red pen. When this is done, other scholars look through it and make the necessary changes in the digitised versions. Third, the scholars go through the text again even more thoroughly, referring to other relevant texts or old and new dictionaries if necessary. They mark up the printed versions in red pen and their colleagues review it and make the necessary changes in the digitised texts. At the moment, we have completed this process for all 35 volumes. The remaining five volumes must still be gone through for a second and third check, which will likely take a few more months. Finally, before these volumes are sent to the publishers, the present Lelung Rinpoche and a very experienced scholar need to go though all forty volumes again. That means a huge demand upon their time. The Lelung Literature Preservation Centre workers are being supported during these years of hard work by friends from Ruislip Lelung Dharma Centre the UK and friends from Taiwanese Dharma Study Group in Taipei. 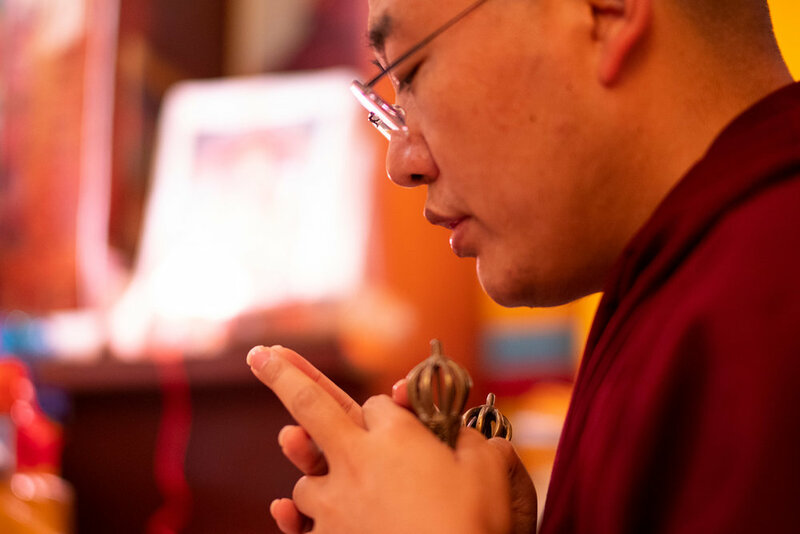 Lelung Rinpoche very much appreciates the support that these groups have given him and he is making dedication prayers for the groups' happiness and all sentient beings through this enormous and virtuous project. If you are interested in helping with this project, please contact info@lelung.org. At the meeting on 6th May 2006, our dearest Maureen Elliott announced her resignation as a trustee of Lelung Dharma Trust. Maureen leaves to pursue further studies in Dharma. 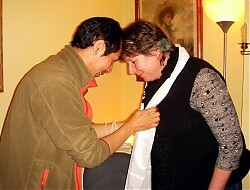 In honour of her contribution and friendship over many years, Lelung Rinpoche gave her thanking khatak, a traditional Tibetan white blessing scarf. Maureen is one of Lelung Rinpoche's oldest friends in the UK. She has generously supported Rinpoche and his work for many years. Lelung Rinpoche and Lelung Dharma trust would like to take this opportunity to thank her for all her time and hard work. We wish her all the best with her future endeavors. We will miss you Maureen! Sonam Tenzin, a monk from Lelung Valley is studying at Drepung Loseling Monastery, one of the largest Buddhist monasteries in India. This year he was chosen for the tsoklang. At the tsoklang, two individual students engage in a forty minute debate on Dharma (Buddhist scriptures) for an audience of approximately three thousand monks. This represents a unique opportunity to develop one's knowledge. Sonam's selection is a result of how hard he has studied. Rinpoche would like to support him by offering a lunch (bread, tea and vegetables) to all the monks during the debate. Rinpoche would like to thank all the everyone who has generously supported his monks for many years.